Life is getting back to normal. 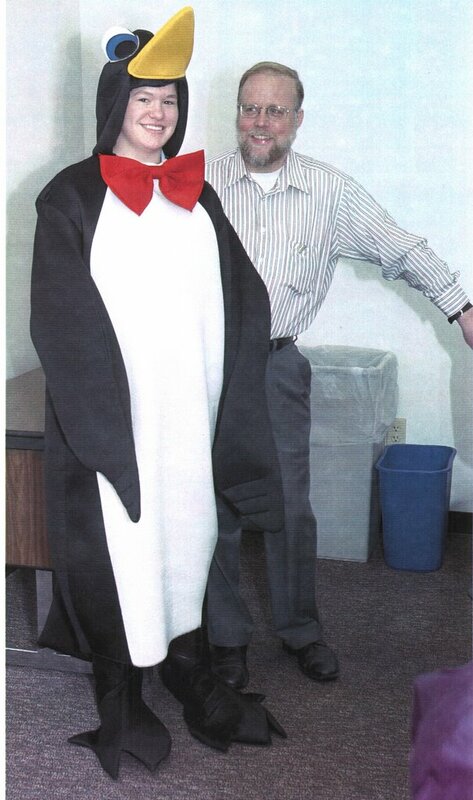 I went to work the other day and I was greeted by a very large species of penguin. It seems strange being back. My outlook has changed. I am seeing things I didn't see before. Success is ahead. I have been studying flight manuals and making other plans. I missed my big red parka so much I ended up buying a new winter coat and some new boots. This is the time of year. Things go on sale. I bought some bunny boots on ebay for 33 bucks (with shipping). They are very nice. I am quite happy with them. Actually they are Mickey boots. They are black not white and they are not rated quite as cold as the ones I had on the ice. I will be snowshoeing this afternoon since I have at least 9 pounds to loose from the ice. My membership in the fitness center is also reinstated. I have been working on getting the audio system in the house setup as well. I have an old computer setup as a MPEG server that will connect to the Mcintosh preamp and Fisher amp I scored recently. The subwoofer (one of them) has been concealed in the coffee table. I am looking at video cards for HDTV and planning the video setup next. Calisto the llama is doing pretty good. That llama owes Bonnie forever since she nursed him back from the brink of the grave. His wound is healing and the Meningia worm lost during this salvo.